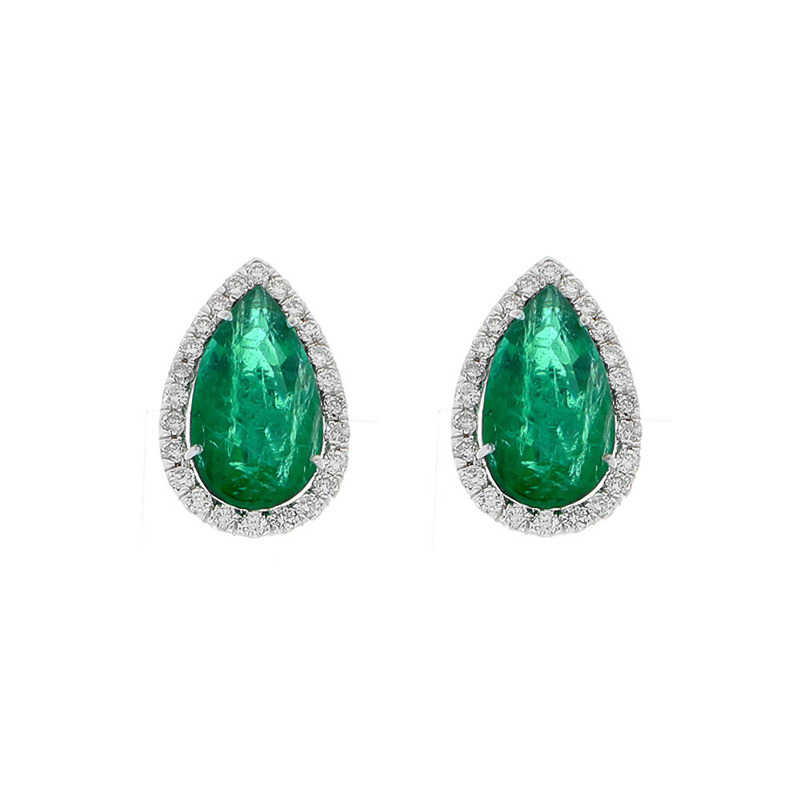 You�ll look incredible when you pair these glorious green emeralds with your favorite ensembles. The pear shape emeralds total 10.01 carat. They are beautifully matched and brimming with breathtaking rich green hues. They originate from Zambia. Its color, transparency, and luster is most desired. A dazzling diamond halo surrounds each emerald and brightens up the overall look. The diamonds total 1.25 carat. The earrings sit securely on the ear and are quite versatile. You can wear these 18 Karat white gold earrings with almost anything; a truly sophisticated pair of top-end gem stud earrings!